Imagine a tan so alluring, you can't live without it. Black Honey is an advanced black bronzer crafted in small batches for the darkest tan imaginable. Waves of color radiate a seemingly eternal glow, thanks to an exclusive Body Nectar™ Anti-Fade Complex. Your perfect darkness comes drenched in a vision of eternal youth, as a Royal Black Honey™ skin firming & toning complex reduces the appearance of fine lines & wrinkles for youthful & vibrant skin. 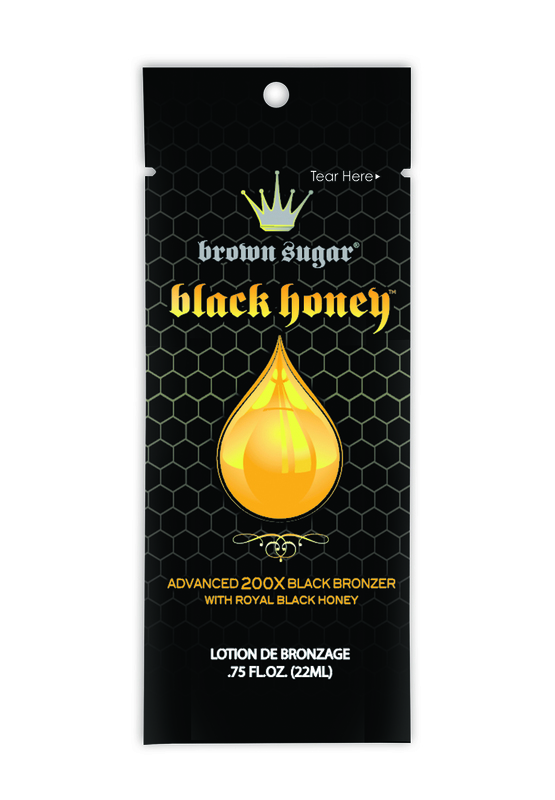 Black Honey is a tanning experience that is nonpareil, and not to be missed.